Spend $75, Get $15 off! Spend $100, Get $20 off! 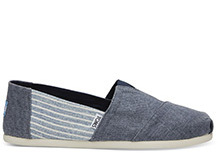 Spend $125, Get $30 off with code SAVEMORE at TOMS.com! Great time to stock up and save!